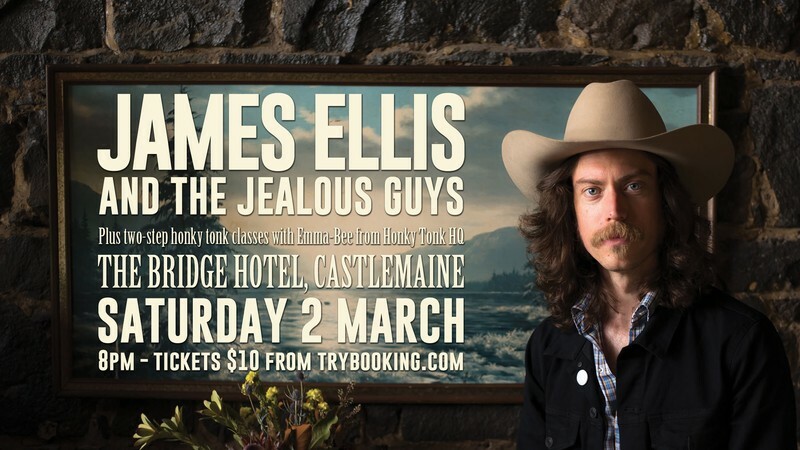 After two hugely successful honky tonk dance nights at the The Bridge Hotel in 2018, James Ellis and the Jealous Guys and Emma-Bee are teaming up again to put on another show. Emma-Bee will lead a two-step lesson before the show and between sets. James Ellis and the Jealous Guys will be playing the best honky tonk tunes to get your feet moving and your partner turning. Together, they'll put on an unforgettable night of honky tonk music and dance.